Here is the archive of Prowess publications from 2002-2009. Those are largely policy and research reports and resources for those providing support to women in business. You can download PDFs of all of those reports by clicking on the titles. This document represents the first UK Government women’s enterprise strategy. It was produced by the Small Business Service in the DTI, in collaboration with Prowess and other key government departments. Prowess was commissioned to develop and disseminate the Framework. 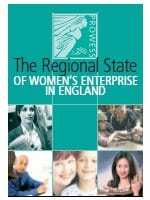 The Strategic Framework prepared the ground for a collaborative and long-term approach to the development of women’s enterprise in the UK. Who Benefits? The difficulties for women in making the transition from unemployment to self-employment. NEF/ Prowess 2003. written by Susan Marlow, Andrea Westall & Erika Watson. This report looks at the issues women face when moving from welfare benefits into self-employment. Women are much more likely to start a business from unemployment, but much less likely to fit into government support schemes. Key obstacles include the low level of earnings disregard, short test trading periods, a system which is designed for full-time work rather than a more gradual transition via a part-time start-up. The report concludes with recommendations for an effective welfare to self-employment programme for women. Between 2000 and 2006, the DTI supported a number of projects across the UK which aimed to find innovative ways of supporting disadvantaged and under-represented groups to become more enterprising. This report brings together best practice from projects which targeted women. It includes chapters on access to finance, outreach and enterprise culture and projects which targeted specific groups including black and minority ethnic women, welfare benefits recipients and lone parents. Two years after the launch of the UK government’s first strategy for women’s enterprise, this report revealed to what extent the business support sector was enabled to deliver the strategy. It included responses from over 100 Prowess members. 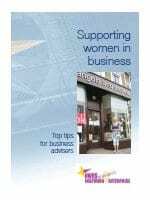 The report concluded that the Strategic Framework for Women’s Enteprise had fueled an enthusiastic and committed sector, but that this committmetn was not yet being matched by a coherent business support funding strategy. This comprehensive report includes gender analyses of key data sets (GEM, LFS, SBS), indepth regional case studies and on overview of various government policy initiatives aimed at fostering greater female entrepreneurship. This report explored the objective of the government’s Women’s Enterprise Panel – that every woman in every region has access to high quality female-friendly business support from the pre pre-start-up stage onwards. 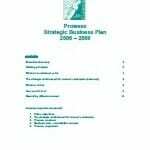 It examined how that could be achieved within the framework of government business support that existed in 2005. The report recommended a set of 6 guiding principles, which included: transformational support; targeted services braided with mainstream provision; quality standards; local bottom up approach; integration with skills agenda; a long-term approach. Since its launch in 2002, Prowess had established a community of organisations committed to a women-friendly enterprise culture. 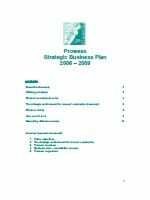 Prowess’s existence had accelerated a strategic approach to women’s enterprise within Government for the first time: within a year of launch Prowess had assisted the Small Business Services, within the DTI, to produce the Strategic Framework for Women’s Enterprise. 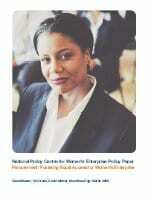 Prowess further advocated for and achieved the Women’s Enterprise Task Force, announced in 2006. This business plan builds on those foundations and Prowess’s established reputation, brand and capabilities. It looks to broaden and sustain Prowess’s impact through smarter communications, champions, advocates and strategic partners. 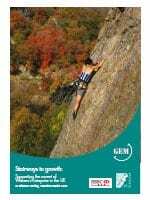 This report is based on statistical analysis of the Global Entrepreneurship Monitor UK data since 2002 and on a qualitative, indepth survey of 20 practitioners, academics and analysts. Key findings include the fact that while the gender gap in start-ups was narrowing, it remained much wider as businesses grow. Women are more likely to be using new technologies in their businesses. Access to finance remains a key issue for women. Rural women and black African women are significantly more entrepreneurial than all women. Enterprise for All: progressing the agenda 2007 written by Andrea Westall. 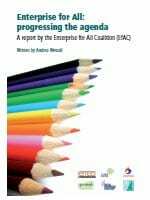 Published by the Enterprise for All Coalition, which included Prowess, PRIME, CDFA, Social Enterprise Coalition, NFEA and BTEG, this report reviews the evidence which shows why it is important to support ‘Enterprise for All’, the difficulties in achieving this goal and the appropriate role of government. The report concludes that through meeting diverse client needs, enterprise culture and take-up of all kinds of business support – public, private or third sector – by disadvantaged and under-represented people, groups and areas, will increase. As a result economic, as well as the broader personal and social, impacts of ensuring ‘Enterprise for All’ will be better met.